The versatile RT series illuminated SPST push button switch offers momentary switching function. 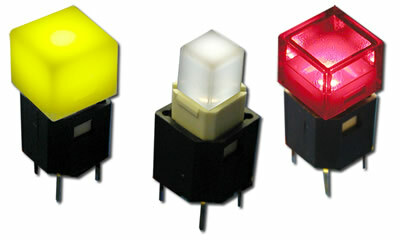 Design engineers may choose from six single LED colors or six dual LED and RGB color choices. There are numerous actuator styles and colors offered. This illuminated switch is available in semi-transparent, transparent and opaque styles with ten laser etching choices.